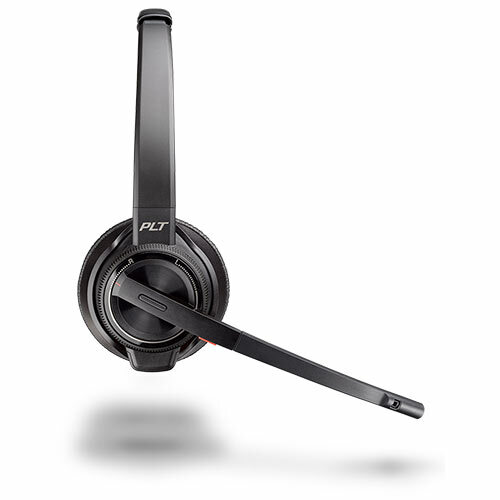 The Plantronics Savi 8220 is the world's first headset with active noise cancelling speakers, for all of your office communication devices. Works with your desk telephone, computer and mobile phone! Savi 8200 Series delivers enterprise-grade DECT audio for a premium listening experience. Savi 8220 delivers hi-fi stereo sound, whether you’re calling customers or colleagues or listening to music. And active noise canceling speakers (ANC) blocks out background noise so you can always stay focused on what’s important. For the most sensitive environments, you can turn up noise canceling microphone with the close conversation limiting feature (configurable in Plantronics Hub) for additional privacy. 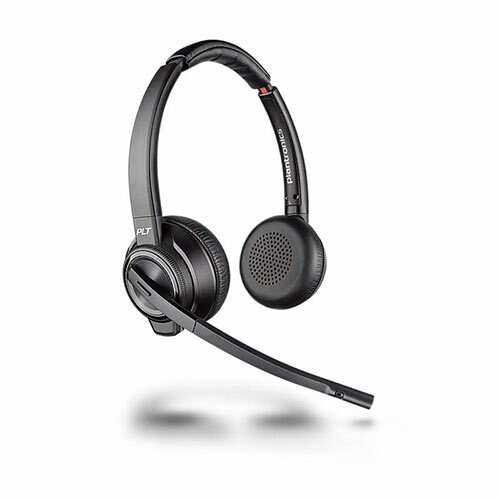 The Savi 8200 Series headset system helps you achieve peak performance and productivity with a range of communication features. 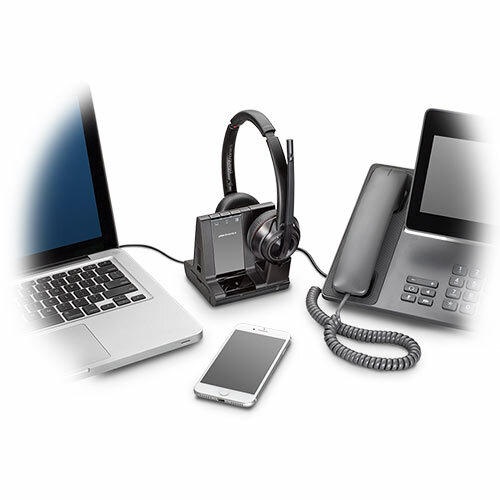 Enterprise-grade DECT audio allows you to roam or multi-task up to 590 ft/180 meters from your PC. One-touch controls – such as call answer/end, volume up/down and mute – let you manage calls from any connected device within roaming range. Convenient voice prompts notify you of mute status, roaming range limit, and more. 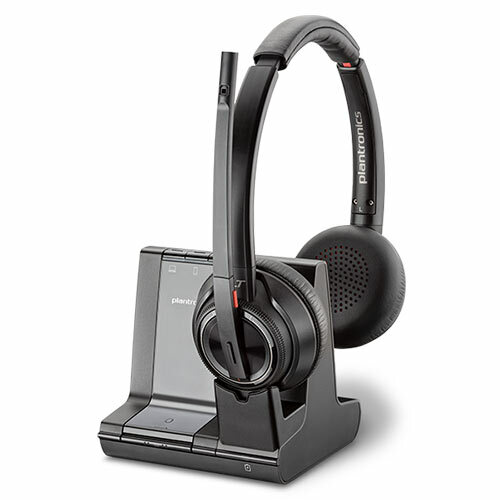 And with up to 13 hours of talk time on a single charge, Savi 8200 Series headsets are ready to work whenever you are.